Kathleen Johnson is an Arrell Scholar and a Masters student in water resources engineering in the School of Engineering with Dr. Beth Parker, Director of the G360 Institute for Groundwater Research. Kathleen’s research focuses on understanding the flow and fate of agriculture and industrial contaminants in the fractured bedrock aquifer beneath the City of Guelph. Crunch! I take a bite of a delicious apple purchased fresh from the farmers market yesterday. I stop and think: it took about 125 litres of water to grow this apple. Across from me, my friend bites into a sandwich. Bread = 1608 litres of water per kg. Butter = 5550 litres of water per kg. Cheese = 5060 litres per kg. Roast beef = 15400 litres per kg. No. I don’t calculate the water footprint of all the food I eat. But it is something I have become more aware of through my studies in civil and water resource engineering. The food we eat takes large quantities of water to produce. A water footprint has been developed to measure the water we use to produce everything from cars to clothing to food. Food production and water resources are inextricably linked. Here in Ontario and worldwide, water is a major part of food production and that production will only be sustainable if it works within the limits of local and global water systems. The management of our water resources is complicated by multiple, competing uses such as drinking water, agriculture, industry and commercial activities, and balancing the need to maintain ecosystem health. Groundwater, specifically, is very important for agriculture. 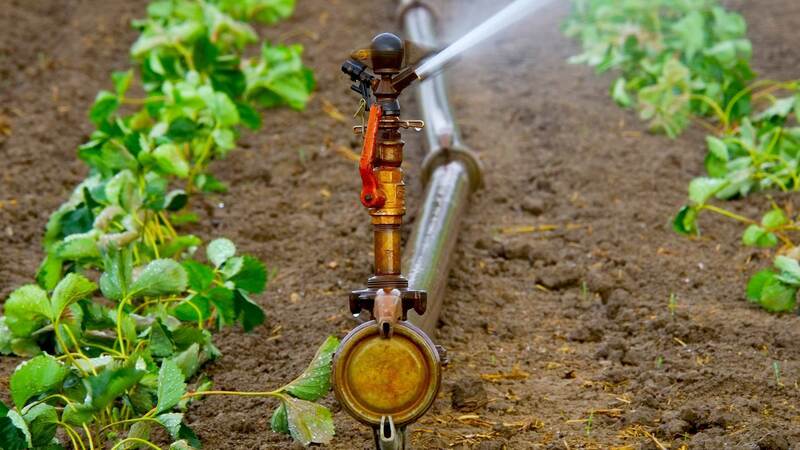 It is the source of 40% of the water used for irrigation globally. Better understanding of our groundwater systems is needed to ensure that we have sufficient water in the future to meet all our needs, including for food production. I am currently completing a Masters in Applied Science in Water Resource Engineering with Dr. Beth Parker at the G360 Institute for Groundwater Research here at the University of Guelph. My research focuses on understanding the flow of contaminants in the Guelph region groundwater system. Through my work with the Arrell Food Institute and my graduate studies research, I hope to learn more about the intersection of water and food production. Water, in many ways, is a finite resource. It is my hope that this research will contribute to the knowledge we will all need to make sure we have enough water for ourselves and future generations.